Even though Winterfest has a low entry fee, you will still enjoy a professionally run championship you have come to expect from AASCF, with all our usual bells and whistles including USA and Worlds judges. A more relaxed championship where teams can get their routines on the comp floor and receive vital judges feedback in preparation for the upcoming ALL STAR BATTLE & AASCF STATE CHAMPIONHIPS. It assists programs with attendance, placing an added pressure on coaches and athletes to get routines ready early! The Point Review System for Cheer teams is there for you to discuss everything with our team of experts, whether its Cheer rules, scorecards or just ideas. As deductions are mainly warned at Winterfest, our Point Review System is there at your disposal for educational purposes. You receive all your FREE photos and videos of your performances – which is so important to have early in the season so you can study your routines. 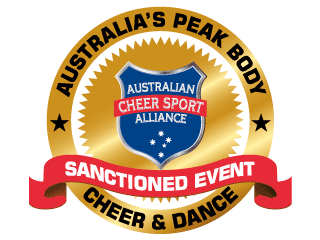 Australasian Cheer & Dance Pinnacle Bids are on offer at Winterfest – who will be Australia’s first teams to win Pinnacle bids for the year? You will have the opportunity to win CHEER Bids, giving FREE entry to Spirit Sports Duel in the Desert in Jan/Feb in Palm Springs, USA. You will have the opportunity to win DANCE bids to NDA All Star Nationals in February in Texas, USA. AASCF offer all International Cheer & Dance USA Championship Bids (excluding Worlds) at Winterfest as it gives the clubs the rest of the year to fundraise and train. We select the most reputable competitions in the USA that are early in the year January/February, to have the least impact on the Gyms as well as athlete's schooling. The bids on offer are for all age groups and all levels of cheer and styles of dance. All USA Bids on offer are at Winterfest are - Spirit Sports Duel in the Desert and NDA.